Comes with 46 needles which is more than twice the number of the original addi Express, allowing for larger pieces. 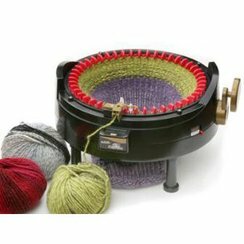 This is the newest knitting machine from Addi which was introduced to the alpaca breeder community by Sandollar Alpacas! 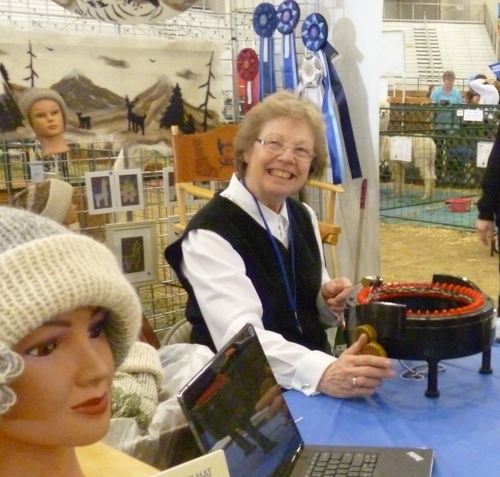 It is taking the alpaca breeder community by storm; more than 100 have been sold all over the United States to breeders who are now making hats with their alpaca herd's fiber! 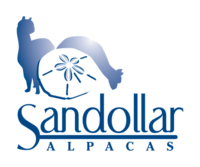 Sandollar Alpacas has also produced a 3-part video uploaded on Youtube to demonstrate making a hat using our alpaca wool! Here they are! This large Addi has 46 needles, which is more than twice the number of the original Addi Express! These extra needles allow the user to create even larger pieces. The Addi will do BOTH circular knitting as well as flat panel knitting with a simple flip of a lever, and comes with "stoppers" to provide flexibility in creating panels of any size up to 46 needles in width. From accessories such as hats and scarves, to all types of wearing apparel, the user is limited only by their imagination in creating an infinite variety of items. Of course, our favorite material is alpaca wool from our own herd, But any type and size of yarn can be used; wool to synthetic blends, 2-ply, 3-ply, lace and fingerling weights, sport weights and bulky weights all do well. You can also embellish the hats with other things; my favorite is to make some small flowers on a peg loom and attach to the hat. Call Nikki at 509.378.6909 with questions, or order your Addi online today!